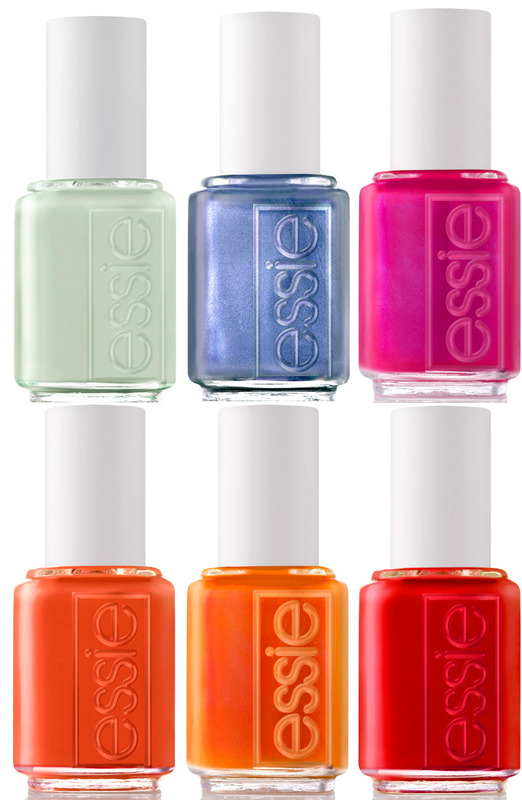 A quick look at the new Essie Color Me Braziliant collection for summer 2011, available June 2011 ($8 each). Top row from the left: Absolutely Shore, Smooth Sailing, Super Bossa Nova. Bottom row from the left: Meet Me At Sunset, Braziliant and Too Too Hot. I just bought Absolutely Shore and Smooth Sailing at Walgreens (BTW, LOVE that I can buy Essie anywhere now! ), but I want every single color in this collection. Perfect for summer. Absolutely Shore on fingers and Smooth Sailing on toes – beautiful! dani@callitbeauty recently posted … Cargo Cosmetics Blush In Tonga Is My New Favourite! Smooth Sailing & Super Bossa Nova are calling my name. Vijaya recently posted … Versatile Blogger Award Numbers 2 and 3- Thanks GenkiOriana and eRin! Nice bright colour perfect for summer! Absolutely Shore is the only one I already know I’ll be getting; I’ll have to wait to see the others for myself. They’re all beautiful, though! I’m excited for this collection. I absolutely love the first 3 colors and Braziliant! Okay, I’ve never been to Brazil, so I don’t know how accurate these are. But I really like Super Bossa Nova. Heck, I like them all! Trisha recently posted … You Can Still Enter the Week of Beauty Giveaways! Meet me at Sunset is my kind of orange!!! I am all over Super Bossa Nova! Ahh, Braziliant is gorgeous! I am on such an orange kick right now, you don’t even know! i love the colors! very in for the summer! Jist bought Absolutely shore, it is very streaky! But smooth sailing on the other hand is very opaque; one coat can do, two to cover up any spots! The other colors are super bright, I swatch it and didn’t like it!! I thought I would like Brazilian, since I’m having an orange fever, but it made my hands look dark!! :/ unlike orange lipsticks that brightens up the complexion!